Kedip is an Indonesian false eyelash brand that strives to make beauty more accessible to all Indonesian women. Beauty should not be a luxury, beauty should be approachable. Kedip is suitable for the everyday women, from all walks of life. Its well made and lightweight false lashes makes Kedip a quick favorite among our vastly growing clientele. 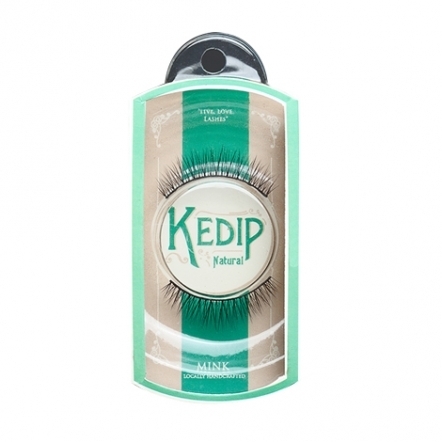 Kedip false eyelashes are so comfortable, most say they forgot they were wearing falsies. Kedip provides two types of eyelashes: sterilized human hair and faux mink. Our lashes can be used up to 5 times with proper maintenance, but to ensure good hygiene use up to 3 times. Our human hair types have thinner band that allows maximum comfort for all day use. Our synthetic mink have thicker, dark band that provide easy glue application.